It's always good when companies listen to their customers. How better to find out what they want than to simply go, "what do you want?" and being receptive to the answers? 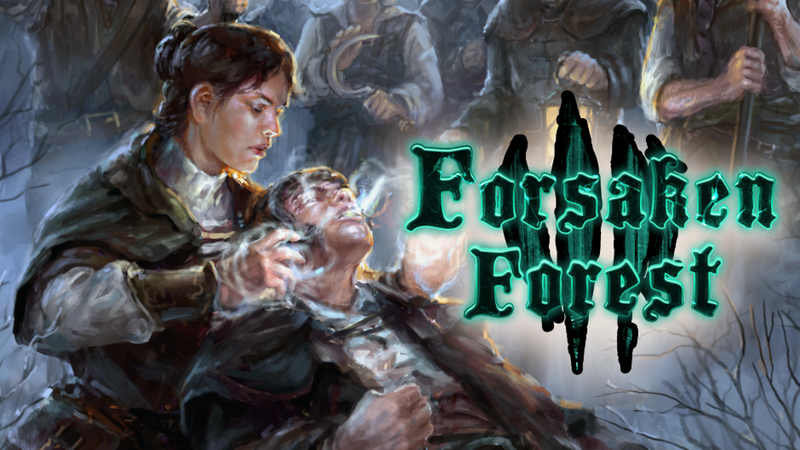 Well, Forsaken Games has listened to the people backing their Forsaken Forest Kickstarter and decided there were enough good ideas that they cancelled their previous campaign and have started up a new one for Forsaken Forest: Revival. It's not just older games that can sometimes use a freshening up. Relatively recent ones can, too. Take, for example, Kitten Casualty. It's still a young one, games-speaking, but they've got a Remastered Edition up on Kickstarter now for you to check out. ... Yeah, I used up my Misfits quote with the "it's coming to Kickstarter post" and didn't think I could get by with using it again, as much as I wanted to. The week continues along. Just gotta make it to that sweet, sweet Saturday. That's when I'll be getting my D&D on. I'm hoping you've all got some gaming lined up as well. If you do, you'll want those gaming tables to look good. That's just what we're here to help with today. In the Terrain Corner we have: AT Gun or HMG position Available From Warlord Games, Indirect Artillery emplacement Available From Warlord Games, Lunette + 5 Pointed Star Fort Available From Warlord Games, New Railing Gateway From Warlord Games, New Orkenburg Signs From Tabletop Scenics, 3D Printable Medieval Terrain Up On Kickstarter, and Cyber City Mat Available From Pwork Wargame. 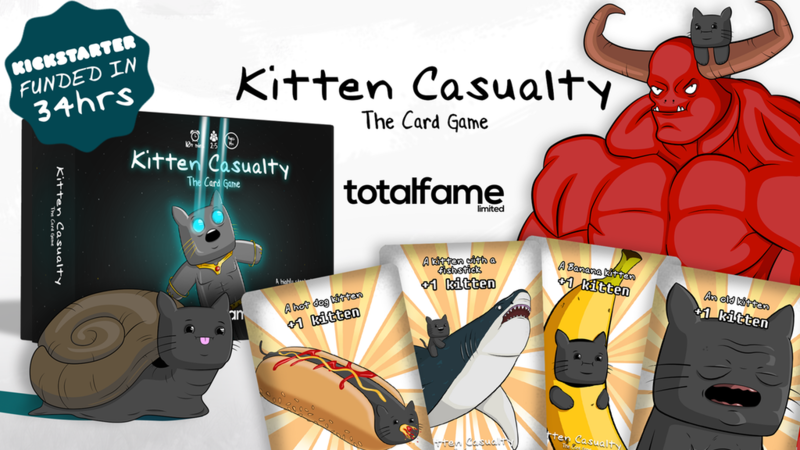 There's a lot of party card games out there. Most of them are for a bit more adult crowd. 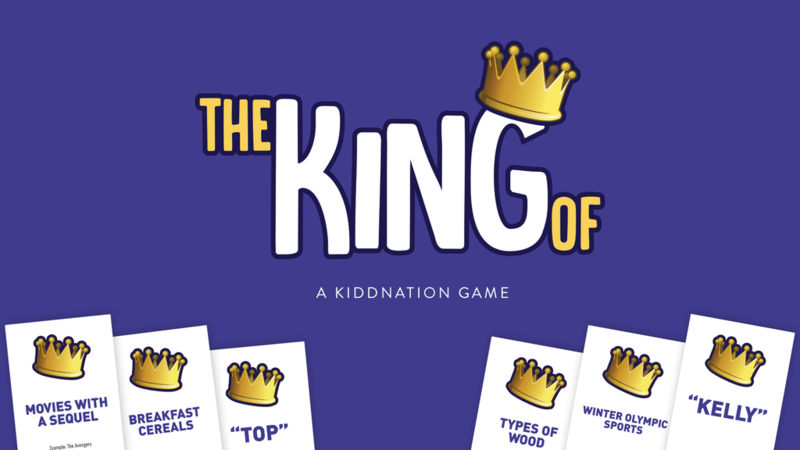 The King Of party card game, however, is safe to bring out with kids and grandparents present. A topic card is drawn, then players go, one by one, saying an answer to the topic drawn. Best answer wins the card and is declared The King Of that topic. The game is up on Kickstarter now. As you long-time readers know, I love big minis (and I cannot lie), especially if they're robots or armored suits. Well, it seems a game has come along made just for me. It's called Immortal Kings, and it's a miniatures game that uses a larger scale for its figures, giving you more detail and differences in sculpts, and it includes a faction of giant mecha and suits and such. The game is up on Kickstarter now. I just got in some new Guild Ball minis and I'm going to need to paint them up. Unfortunately, my painting skills are pretty much a joke. I really need to step up my game. Maybe Issue 49 of Figure Painter Magazine can help. Well, I'm sure it can. It's just that kind of magazine. A good military relies on accurate, appropriate, and quickly-issued orders. 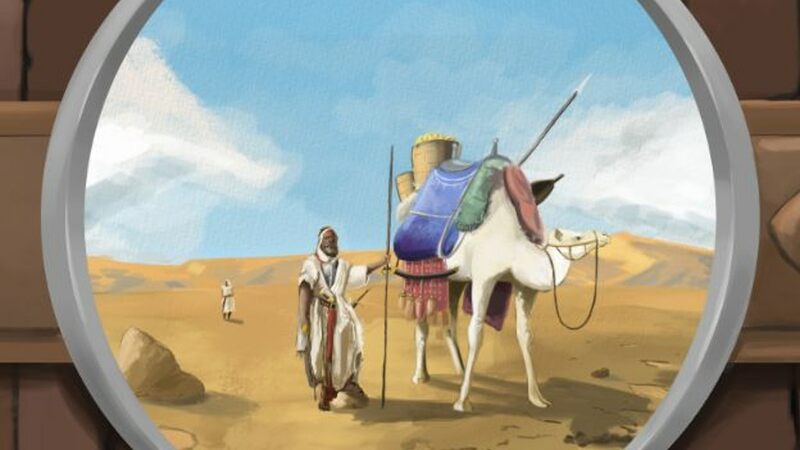 How can you take on the enemy with disarray as your military strategy? That's never going to work. In this preview of Starship Samurai, Plaid Hat Games gives us a look at how Orders work in the game, and how choosing the right order at the right time will make all the difference. In most games, players are all pretty much doing the same thing. Sure, they might have different classes or abilities, but they're generally all working the same way. 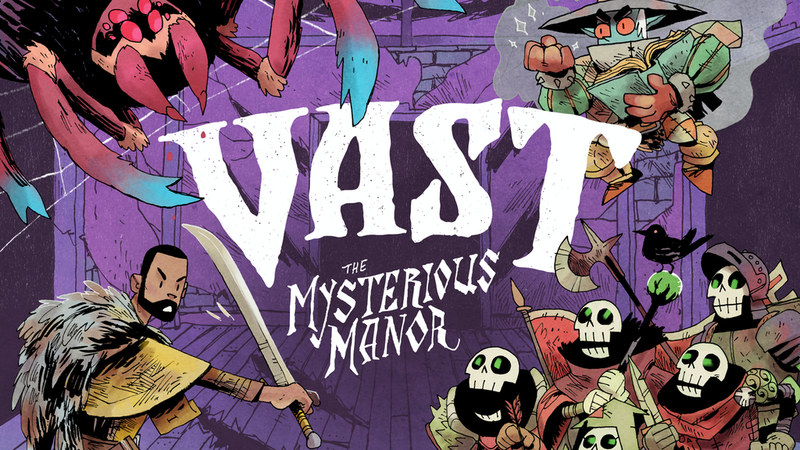 In Vast: The Mysterious Manor, things couldn't be more different... pretty much literally. The things that players take on the role of are drastically different, have different abilities, different goals, different play styles. This is a game where changing what you play as really makes a difference. You can check it out on Kickstarter now. 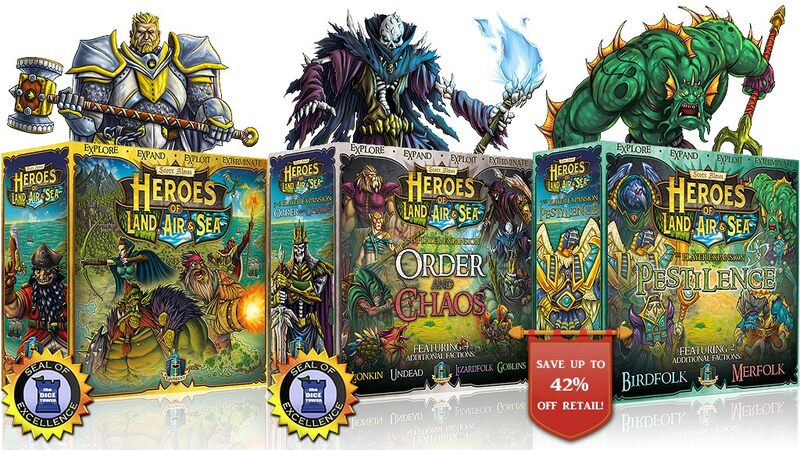 Gamelyn Games is looking to expand the world of Heroes of Land, Air & Sea, and they've taken to Kickstarter to do it. Pestilence is said new expansion, and it brings in a new floating island to conquer. 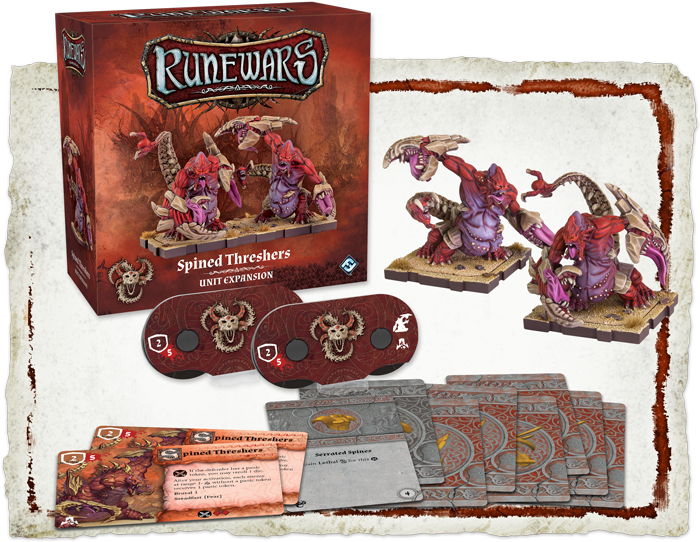 Along with this new set, though, they're looking to do a reprint of the base game. So if you've been wanting to jump in, this is the perfect time to do so. 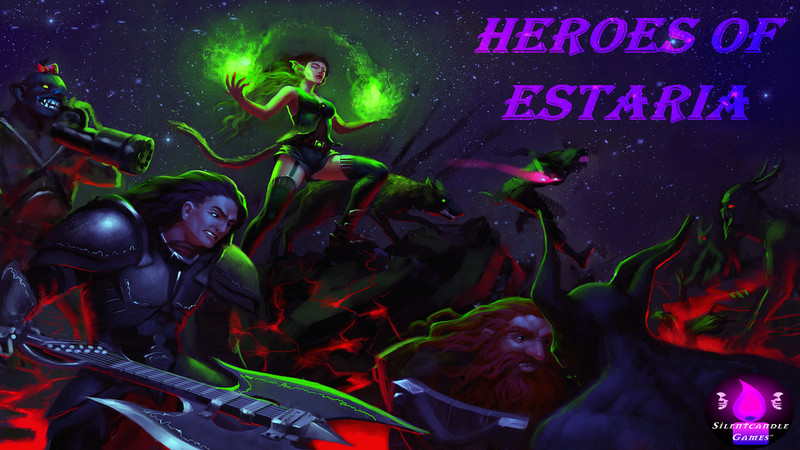 Silentcandle Games is running a Kickstarter campaign for Heroes of Estaria, their own fantasy RPG game world and system. It uses a D6 dice system and includes 40 classes, many diverse weapons and spells, localized wounds, and much more. 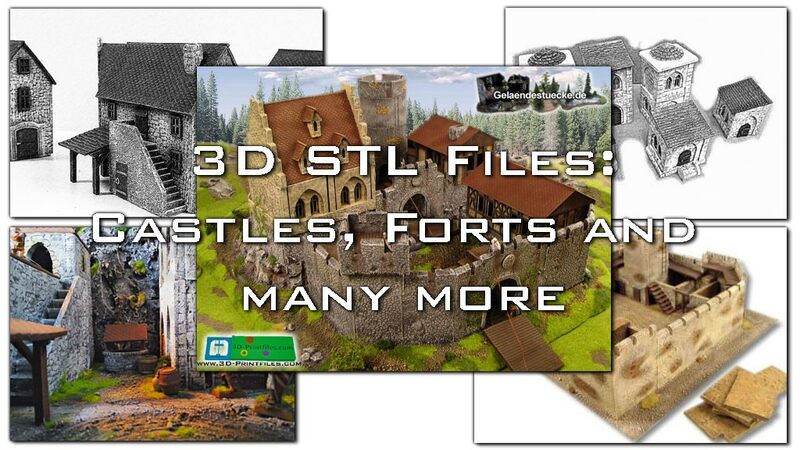 If you've been looking for a new RPG system to try out, this one might just be it. All the fancy flying and pretty ships don't mean much if you aren't trying to blow your opponents out of the sky. X-Wing is getting a new edition, and many aspects of the game are being updated. But what about combat? How has that changed? In this preview, we get a look at exactly that and see how primary weapons, secondary weapons, turrets, and the Force all come together during these dog fights. 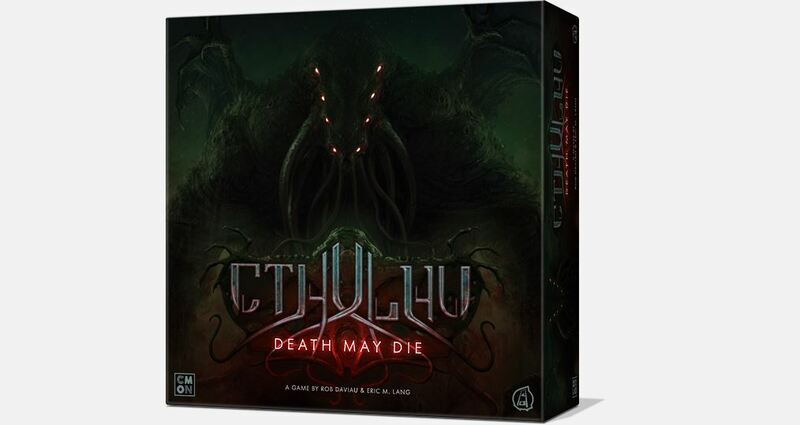 There's a lot of board games out there than many of us haven't tried, simply because they were here and gone before many of us got involved in the gaming hobby. Many of those are beloved titles that were very innovative for their time. One such is City of Chaos. Well, you don't have to worry about finding a copy in resell shops, as Ares Games is going to be coming out with a new edition. Though there's still a bit of a wait, as it'll be coming in the second half of next year. When filling up your day with gaming, a gaming magazine is a perfect way to go. 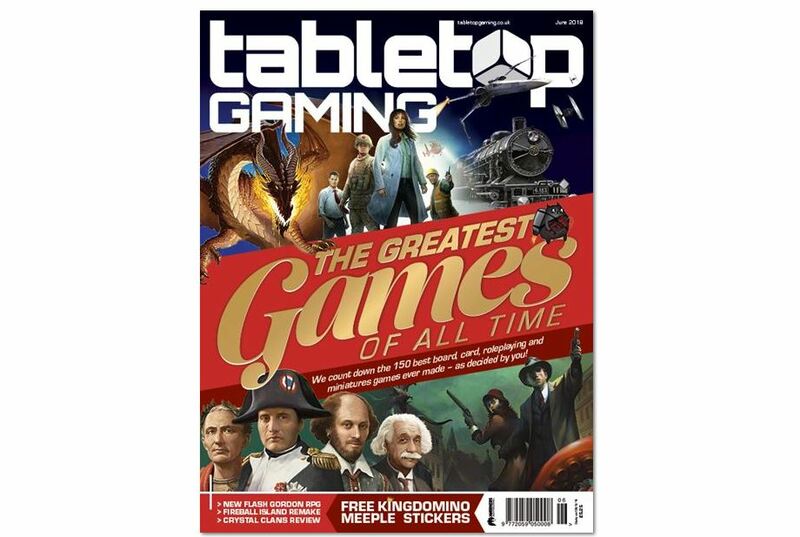 And if you're looking to find a magazine about tabletop gaming, Tabletop Gaming Magazine is a good place to start (just like how you come to Tabletop Gaming News to find your tabletop gaming news ;) ). Anyway, their latest issue is available to order now. WizKids is looking to make your experience with Betrayal at House on the Hill even better than it is now. They are going to be bringing out an Upgrade Kit for the game this September. 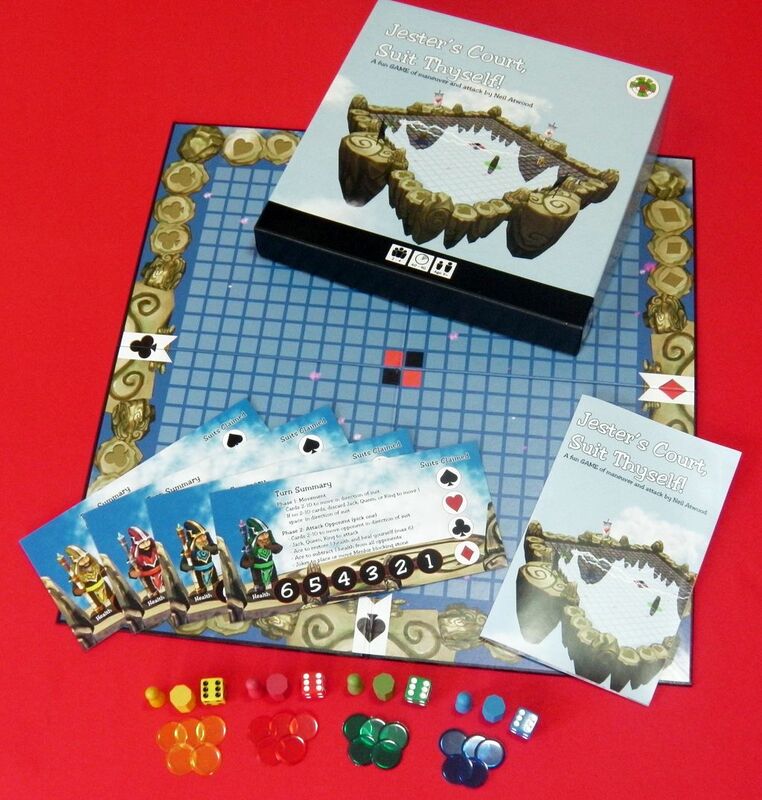 It contains new, custom dice, high-quality, double-sided player cards, and much more to create a deluxe playing experience. The Runewars previews just keep a-comin'. This time around, we get a look at the Spined Threshers. I mean, I certainly wouldn't mind some extra mouths. Though having such long tongues right near all those sharp teeth and pinching claws seems like a recipe for a bitten tongue. I have to say, I love the look of the Predator. Always have. So when I see new designs for Predator minis coming out, I'm instantly interested. And that's certainly the case here. 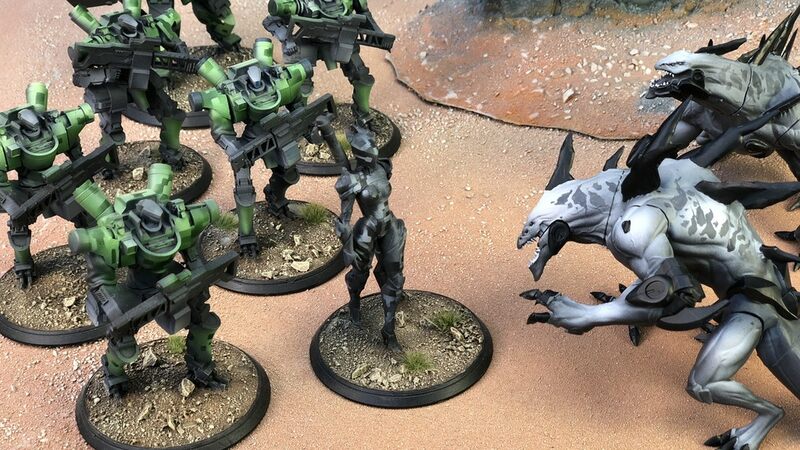 Prodos Games is taking pre-orders for new Predator Elders for the Aliens vs. Predator minis game. When you go into battle, sure, you can just carry along some boring, old sword, or you can carry some far-off exotic sword from a far-away land. You could have a staff, or you could have a staff made of special wood from some distant location. You could have a club, or you could have a club carved to look like a creature that dwells elsewhere. That's what you can get in The Steel Road, a new supplement book for 5th edition that's up on Kickstarter now. A company that you've seen pop up on here for a long time is Fluo Craft. Their Color Wars universe is one I looked at back in a review many years ago. I loved the idea of two paint-based cultures, one trying to spread color and the other trying to just blot everything out in black. 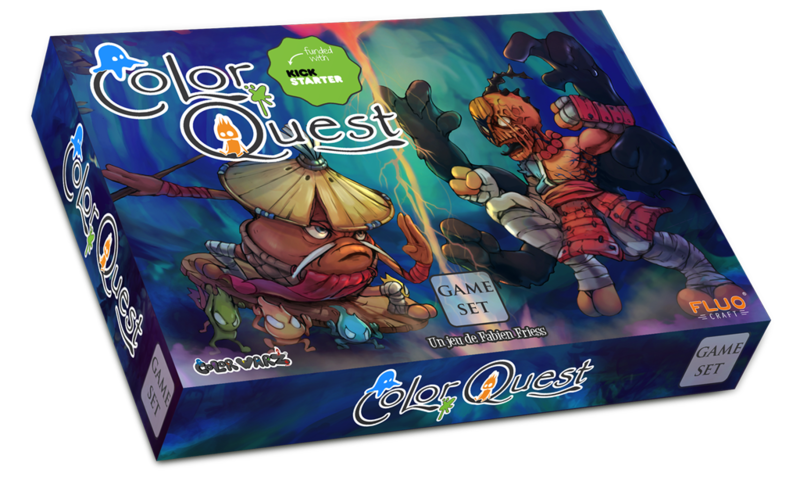 Well, they're back with Color Quest Alpha, their new miniatures skirmish game set in that same universe. 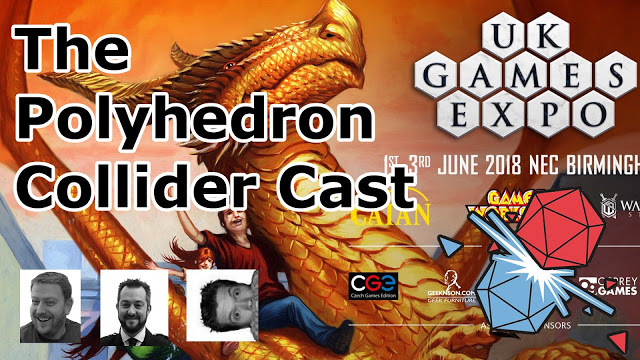 The game is up on Game On Tabletop (a crowdfunding site, in case you didn't know. We don't get many campaigns from there). Adventurers don't start out fully-formed into their heroic beings. 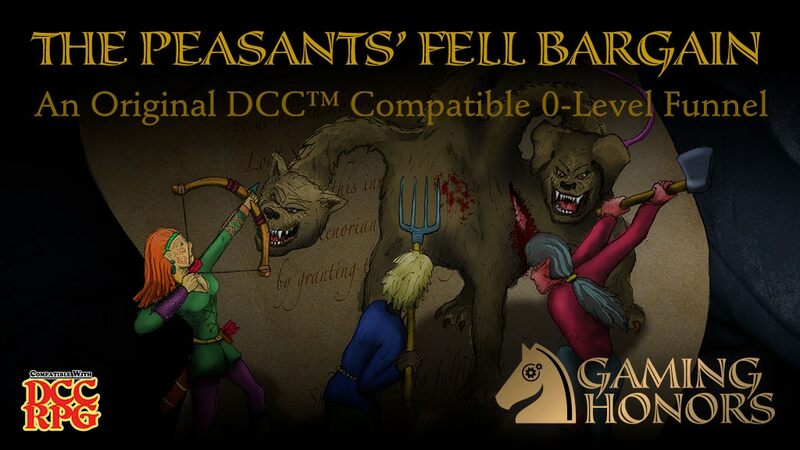 They're originally peasants or noble's kids or something not-as-dashing as even a Level 1 character. So, how did they start down that heroic lifestyle path? Well The Peasants' Fell Bargain adventure is one place it could happen. It's an adventure for heroes just getting started on the path to adventuring. The adventure is up on Kickstarter now. A lot of power is dangerous, but a little can be just as dangerous, if you don't know how to use it. Well, you, as a wizard of medium power, shot off your mouth around some wizards of maximum power, and now you've been banished to a little pocket dimension called Limbo. You and some other wizards who thought they were cool enough must try and escape. To do so, you have to collect banners from the four powerful wizards. That's the story behind Jester's Court, Suit Thyself!, a new board game available from Battlespace Games. The Germans, early in the war, had quite a lot of successes out on the field where they were able to grab enemy arms and armaments. Situations like Dunkirk and the fall of France meant that much of what they could field were not of original German design. 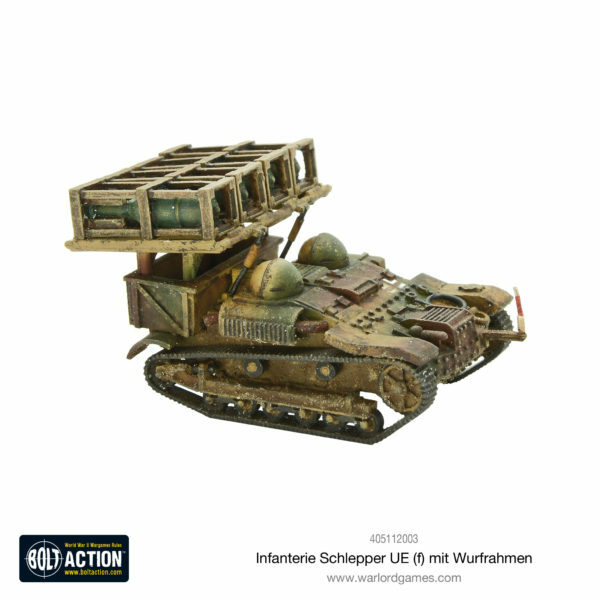 That includes the Infanterie schlepper UE (f) mit wurfrahmen. German commanders in Bolt Action can now at it to their forces, too. Monsterpocalypse will be smashing its way back to tabletops this fall. Privateer Press has given us some insight into what we can expect, but they've got another little snippet to show off. In this preview, we get a look at a shot of the map, some tokens, the buildings, and the dice. 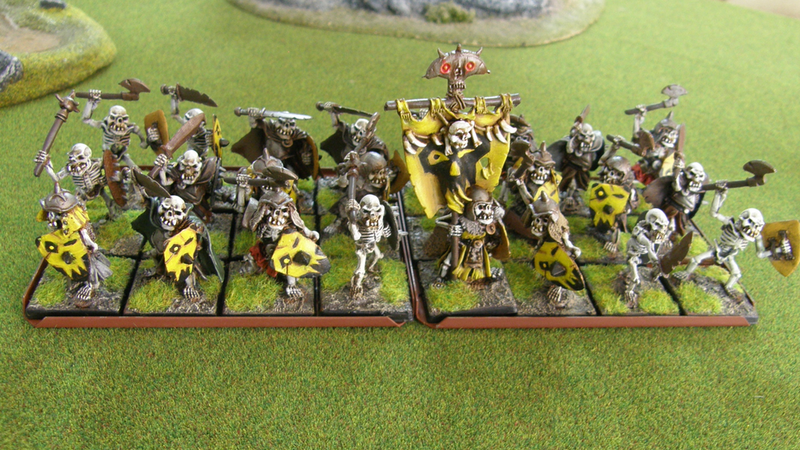 Like the miniatures, everything is looking to get a bit of an upgrade in this new version.